This weekend marked the 100th anniversary of the first recorded instance of surfing in Orange County. (There's reason to suspect that it may have happened earlier without anyone writing it down.) 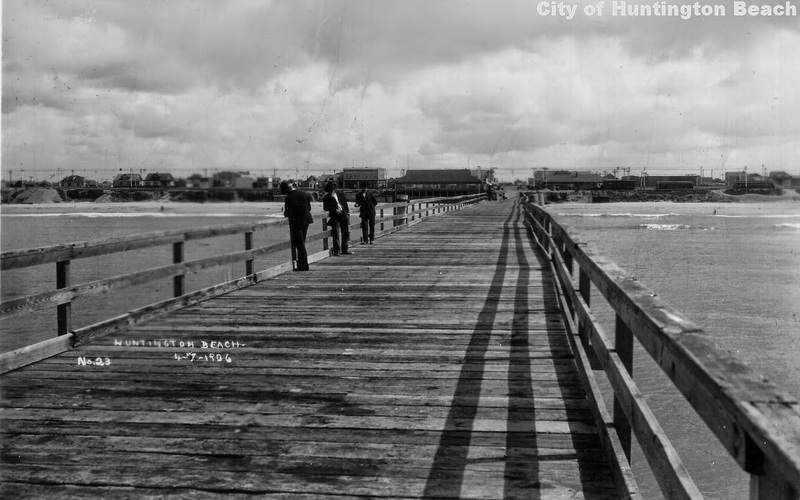 In 1914, to celebrate the opening of Huntington Beach's new concrete pier (the old wood pier, shown above, had been damaged in storms), a whole weekend of festivities were planned. Among the assorted revelry was a demonstration of surf riding by George Freeth. This story has already gotten a lot of coverage elsewhere, so I won't flog it to death again here. Speaking of Huntington Beach,... There will be several interconnected events on Tues., June 24, related to the Historic Wintersburg Preservation project. First there will be a national press conference at Huntington Beach City Hall with mayor Matt Harper and the Wintersburg Preservation Task Force. Apparently, it's "big news," but it's all super secret right now! Then, from 11:30 a.m. to 9 p.m., 10% of your bill at The Red Table Restaurant (16821 Algonquin, in H.B. ) will go toward the preservation effort. At 6:30 there will be another big announcement at The Red Table regarding Wintersburg. Keep an eye on HistoricWintersburg.blogspot.com for more information. 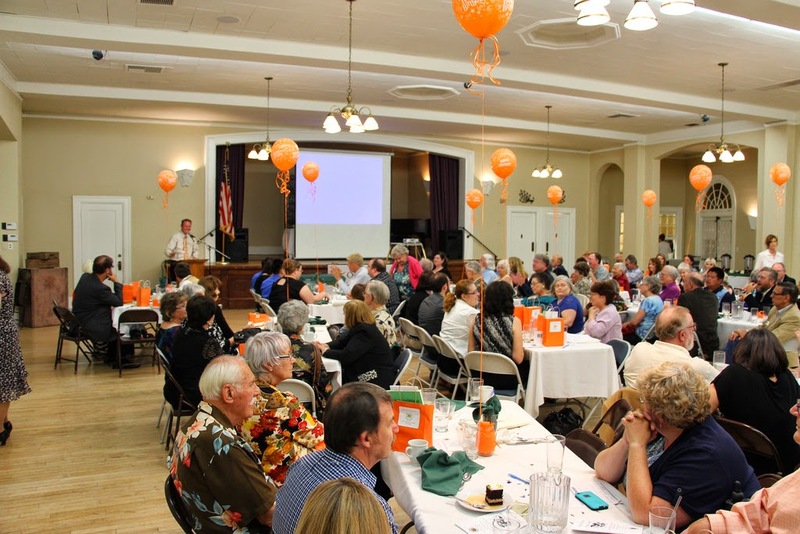 Orange County's 125th Birthday Party, hosted by the O.C. Historical Society. The big birthday party to kick off Orange County's 125th anniversary celebration was a big success! The ballroom at the historic Santa Ana Ebell Club was packed with historians, longtime residents, descendants of pioneers, two County Supervisors (Moorlach and Nguyen) and all sorts of other nice folks who are proud to call Orange County home. My thanks to everyone at the Orange County Historical Society who worked to make it a great evening! I suppose this is old news now, but I haven't mention that the George Key House at Key Ranch Historical Park sustained some significant damage during the "La Habra Earthquake" in March. The historic building is still closed for assessment and repairs, but the surrounding park property is open by appointment.